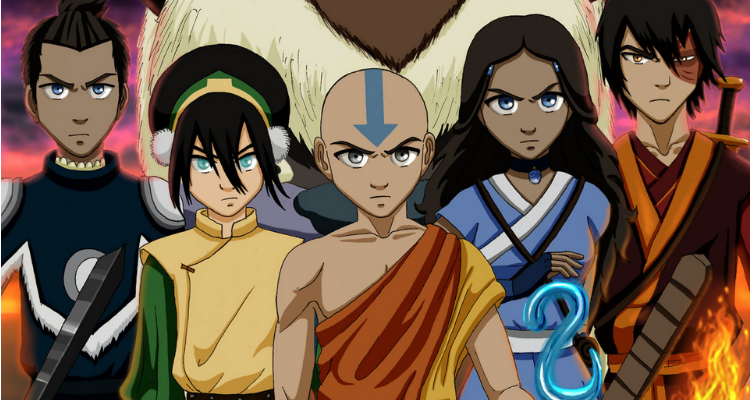 This was a series that I was trepidatious about, even though it came from the Avatar team and was being made by Netflix I was still nervous. In the end I just loved it, it was well paced, exciting, engrossing and best of all it never wasted any time, so if like me you where nervous all I can say is, give the show a go, you might just like it. Right off the bat you are dumped into a pretty lore heavy series, one that holds nothing back with elves, dragons and magic. I feel like in a pre-Game of Thrones/ Lord of The Rings world this wouldn’t have flown, but thanks to Martin and Tolkien people are a lot more accepting of high fantasy. 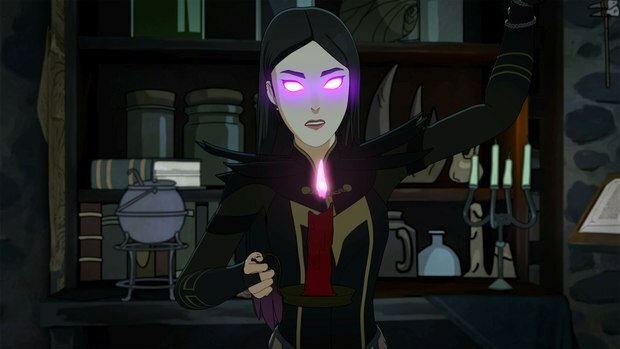 Though there is still a lot that we need to know about the series rules on magic, we as of yet do not know of it’s limitations, as with Dragons we have yet to see one truly in action. To further muddy the waters the series has yet to explain to us how Humans have held Elves and Dragons at bay for so long? This is naturally a good thing as it means there is a lot more story to be told. 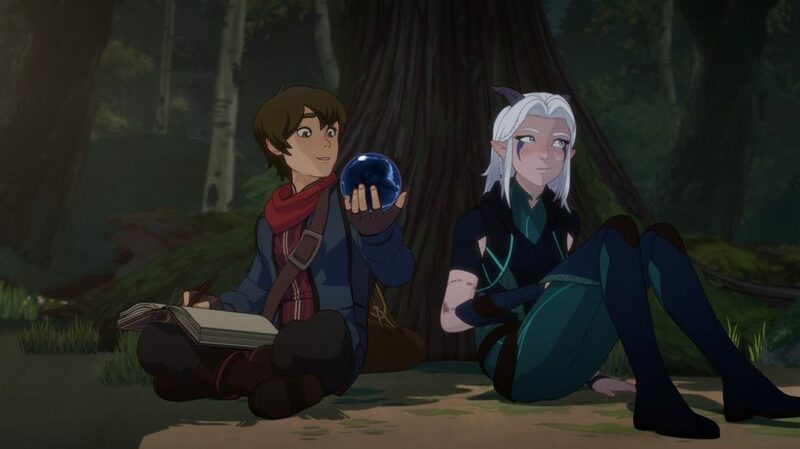 Like Avatar the series has a fantastic set of characters to base its tale around with both Callum and Rayla being stand out leads. Though I am not a fan of Prince Ezran, but that is down to the fact that I really hate child characters. Still I did enjoy the dynamic that the three had and do look forward to their further adventures. 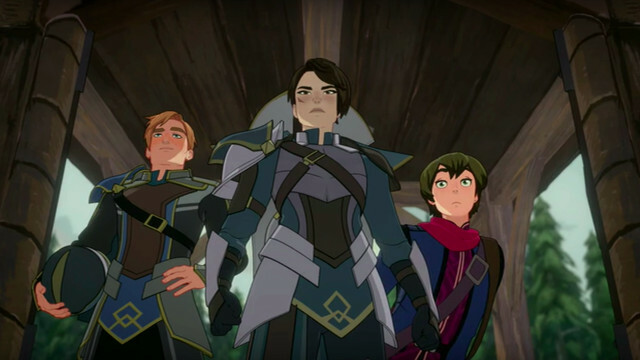 A hero is only ever as good as their villain and in this I feel the Dragon Prince has its greatest weakness. 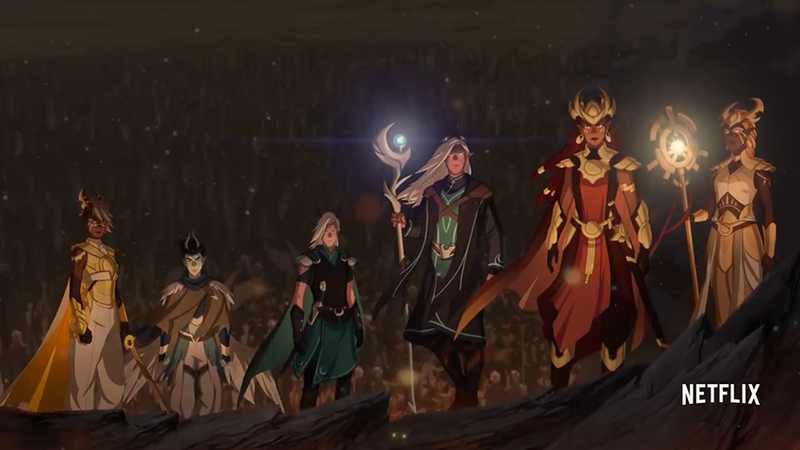 It seems that the kings chief adviser Viren will be the villain and yes he has some villainous attributes but I am beginning to wonder if he is as evil as we are lead to believe, it is just when we first meet him he is a rather nice fellow but then 4 episodes in and he is planning a coup, this just makes no sense, which makes me hope that instead of an obvious villain the series may do the mature thing and have antagonists. 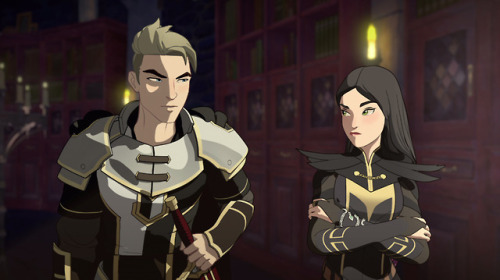 Speaking of antagonists there are Viren’s children Claudia and Soren, tasked with tracking down out heroes, they have potential for great development, especially since they themselves will be most tested by the upcoming events. If you have been following me over the summer you will know that at first I did not like the animation but once you begin to watch the series everything just clicks and the style becomes perfect. There are some shots that are just stunning and the characters all look amazing. 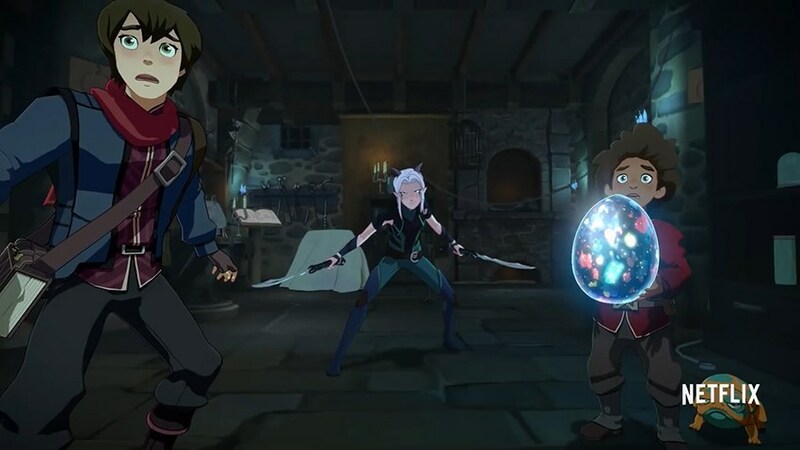 The fight sequences are what made this series, the combat was both immersive and fluid, with Rayla being an absolute joy to watch. 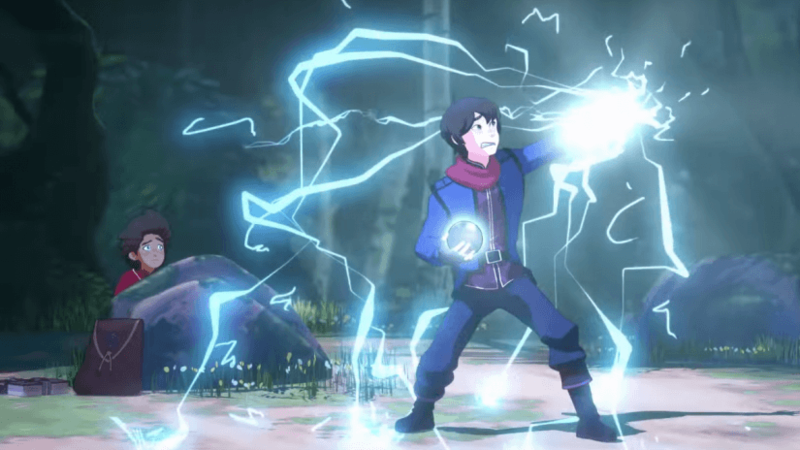 The Dragon Prince definitely reminds me a lot of Avatar which admittedly had a very weak first season but once it got going it was unstoppable. I like that the creators of this hit series where given the chance by Netflix to ply their skills at something new and hopefully unlike Nickelodeon Netflix will choose to let the creators do their own thing as much as possible.